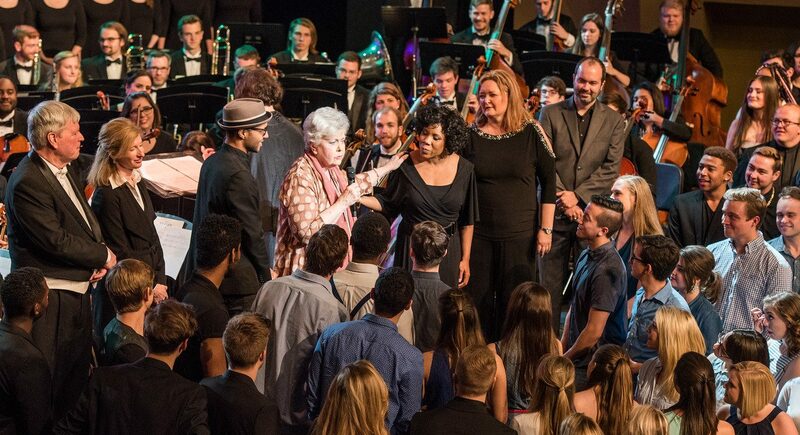 Belmont University’s College of Visual and Performing Arts honored Dean Cynthia Curtis with the Applause Award at Saturday night’s 27th Annual President’s Dinner and Concert, celebrating her 35 years with Belmont. The Applause Award is the most distinguished award presented by Belmont’s College of Visual and Performing Arts and is given annually to honor those who have made significant contributions to the arts. The President’s concert is a unifying event, often bringing alumni back to celebrate the successes of the school. This year hosted alumni Melinda Doolittle (’99) and Rayvon Owen (’13) to perform with the Phoenix Ensemble. The President’s Concert features School of Music student ensembles and groups that highlight the musical diversity of the program. The Applause Award is presented during the concert. 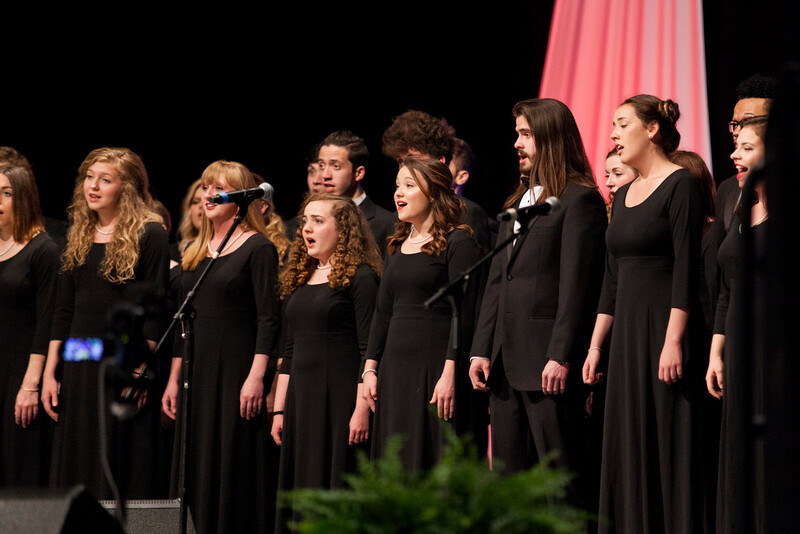 All funds raised by the dinner and concert provide scholarships for students in the College of Visual and Performing Arts, which includes the School of Music as well as the Department of Art and the Department of Theatre and Dance. Previous Applause Award honorees include Michael W. Smith, the Grand Ole Opry, Eddy Arnold, Chet Atkins, The Beaman Family Foundation, Vince Gill and Amy Grant, Donna Hilley, Ronn Huff, Martha Ingram, Nashville Ballet, Nashville Opera, Nashville Symphony, Barbara Massey Rogers, Kenneth Schermerhorn, Ricky Skaggs, Tennessee Repertory Theatre, Jerry Warren, Sam Wilson and CeCe Winans.